Amy Tucker is shown addressing the Fayette City Council. The Fayette City Council voted to donate $2,000 to the Fayette County High School stadium renovations during its Aug. 14 meeting. 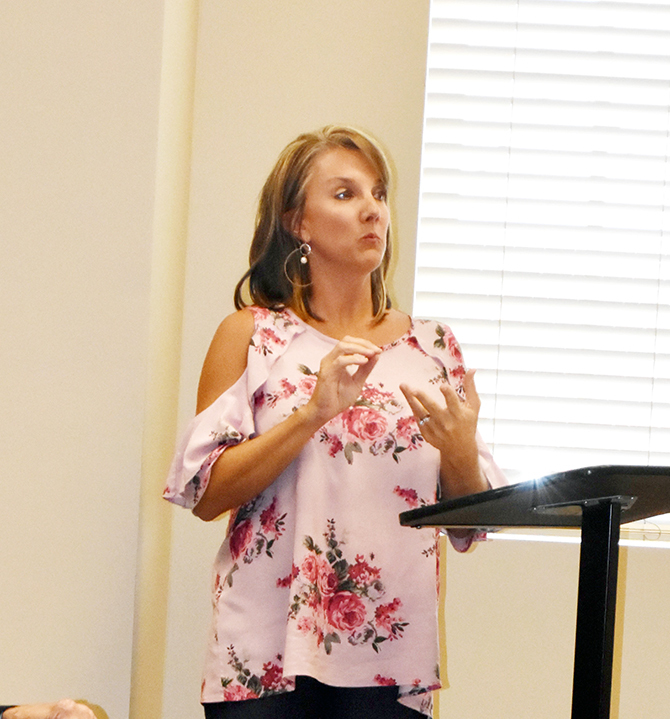 Amy Tucker spoke to the council concerning the recent renovations that the Fayette Boosters Club and other volunteers have been performing over the summer at John Morgan Brown Stadium. She said that all of the old paint has been removed from the walls surrounding the stadium, the walls have been caulked and will be painted, the seats have been steam cleaned, the entrance to the stadium has been painted, and many more items that have been neglected throughout the years have been refurbished.